Where there is a need, there is someone who can fill that need. This principle applies to teenagers seeking work and youngsters who need help learning something in some way. There is always a youngster who needs tutoring in math, science, English – or just about any subject for that matter. There are so many needs that a teenager who has a specialized skill will find more than enough work. Another of the latest trends developing is a sports tutor. Older teens, perhaps on high school level sports, are tutoring in sports such as hockey and soccer – giving tips, pointers, and simply taking the time that parents do not have on weekends to mentor and teach. Having a trustworthy teenager who can drive take a whole bunch of children to the field to learn some goalie maneuvers is priceless to both the child and the parent. 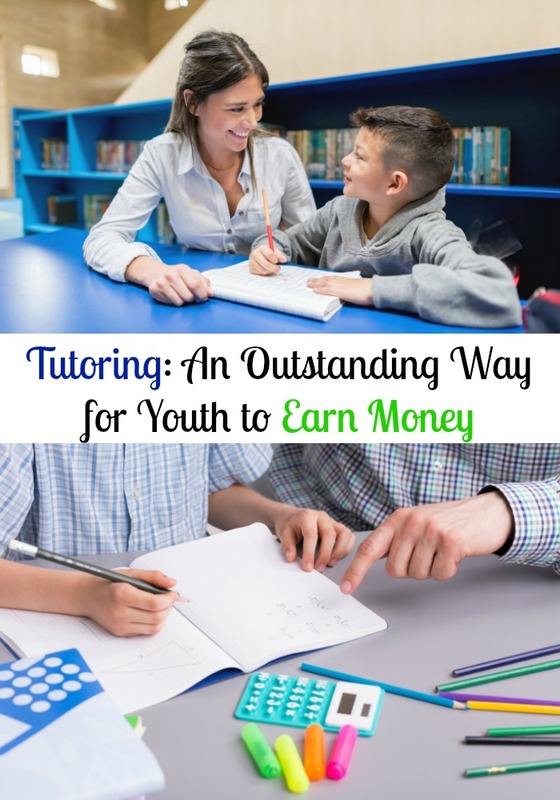 This type of tutoring suits a very large need. Social media is another area that a teenager can make money tutoring. Social media, for the most part, is something that teens are extremely experienced in and they can offer tips, tools, and most of all guidance in this arena. Social media can be a powerful tool and if not taught correctly, can have all kinds of ups and downs. A trusted and looked up to teenager can sit with a child for a few hours and teach them the do’s and don’ts of social media. They can tutor the child in how and what is appropriate to post or tweet and what signs to look out for from posts, as well as how to get out of a sticky situation gracefully. Of course, academics will always be necessary for extra tutoring. Younger children cannot always grasp the material at the pace at which it is offered in school. Some of them simply need a little extra time to cover or go over a certain subject matter. A teen who has time and needs money matched up with a youngster who needs more one on one attention and time is a perfect match indeed. A teen who has much experience playing a musical instrument can offer a beautiful lesson in music to a youngster who is struggling in that department. A teen will more than likely be less expensive than a typical music instructor, and quite possibly be a more comfortable mentor as well. Sometimes a younger child will do better with someone they can look up to who is not that much older than they are, as they may relate much better to them. There are so many ways that a teen with a special skill can make money helping others.